I've enjoyed UT basketball for many years. I used to keep up with Bernard King's points while listening to John Ward on the radio as a young boy. I enjoy reading the many comments posted on this forum by people more knowledgable about basketball than myself, but rarely post. However, I thought I would show this because there may be some other stats junkies like myself. I've been impressed with the consistency of this team. I thought it would be interesting to divide each game into "quarters" by recording the score at the 10:00 mark of each half from the ESPN game flow chart. So, I put together just a few stats by "quarter" (first 4 rows) and cumulative by "quarter" (next 4 rows). You'll find rows showing: 1) points for, 2) points against, 3) difference between the two (+ for UT outscoring), and 4) number of games UT was positive - even - negative for that period of time. I don't want to get too long, but I'll post an example of how to read it below the charts if this isn't clear. I find it very impressive we have only been outscored in 18 of 88 ten-minutes stretches. For example, reading the 2nd Quarter column shows the results from 10:00 left in the first half until halftime. The numbers above show UT averaged outscoring their opponents 23-16 for these 10 minutes, for a 6 point margin (all numbers are rounded - it was 22.5-16.2 rounded to one decimal place). The last row in the first grouping says we outscored our opponents 17 times, tied them 1 time, and were outscored 4 times during this "quarter." The second set of numbers show the average score at halftime as 43-31, for an 11 point advantage (again rounding issues), and we have been ahead in 21 games, tied 0, and behind in 1 game at the half. In the charts, Margin refers to the amount UT is ahead (- if behind). So the five dots to the left of the y-axis on the first chart show we've been behind after the first "quarter" 5 times, but have outscored or tied our opponent during the 2nd "quarter" in each of these 5 games. Taking the upper left dot on the first chart, we were behind by 10 at the halfway point of the first half, but outscored our opponent (West Virginia) by 20 during the last 10 minutes of the half. Tennessee has been down at the end of the first half once this year, and has been down at the end of the second.....just once this year. They have scored 83 or more 16 out of 22, heck they have scored 71 or more in every game but one......66 vs GA Tech.....that is O consistency. We haven't been down at the end of the second. Not to any one particular but they need a lose. They are on cruise control and not playing with intensity. * But I know what you mean. I don’t understand this line of thinking. They don’t need to lose. They already lost a close game to an elite program on a neutral court. Not that they needed it but it seems that was enough to drive them and take down the number 1 team in the country. That loss has propelled them through this point. They’ve had games where they easily could’ve lost but they buckle down when the game gets tight and there’s this confidence they play with that makes me believe they are in control every single game. That’s what championships caliber teams do. They find ways to win even when they don’t play their best. Just because we don’t win every game by 20 points doesn’t mean they aren’t playing with intensity. Our bigs outrun their opponents down the court every single game, we assist the ball on made shots at an extremely high rate, we block a lot of shots, contest on defense, draw a lot of fouls on offense, we focus on playing inside-out basketball. What about this isn’t intense enough for you? Go ask every opponent that we’ve played and ask them how intense and tough we are and I guarantee you there will be 100% positive feedback. On second thought, you don’t have to, because nearly every coach’s post game presser has been about how we are too tough for their team. Frank Martin literally spent his entire session calling out his players in public for not matching our toughness. If that’s not intense enough then I don’t know what is. It is hard to enjoy success when you've been in the bottom of the barrel for so long. We don't need a loss. We're playing with all the characteristics of a championship team which includes finding ways to win even when your game is off. At times that even includes finding a little luck. I'm content to keep on winning. Hoping for that perfect game when we go into Rupp. Losing is for losers, which we aint. Nice post and thanks for the stats OP! Just don't need a home loss. We need to win all of them. A few close games, Ky, is all the motivation they will need to keep a high intensity level going. Team Kentucky, Duke, NC, Zaga, VA, Michigan needs to lose. This is what you say after you lose. Never understood this logic. In golf, when you're in the zone an unexpected bogey will destroy your superman confidence. I suspect it could happen in basketball too. Let's win them all! GBO! They’re on cruise control but I’m not too worried. Won’t be an issue come March. While I would love to see Tennessee win all of their remaining games, the statistical probability to go from Nov-the tourney and not lose one, is outrageous (see 14-15 KY). Sure we want them to win them all...........but that prob isn't going to happen, therefore I would much rather see them lose one now (a KY or LSU or Aub on the road, one of these would be best for Tennessee). Not saying any loss would be best for Tennessee, just saying if they are going to lose one I would rather see them lose to one of the better teams on the road. 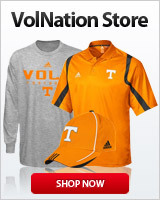 Also I am not saying Tennessee needs to lose one, or that it will help Tennessee to lose one. From watching some of the last few games it seems to me that they can switch from cruise to lock down defense at will. Your thoughts or is it just me? If we have to lose one I say it comes during the SEC tourney, rest up for the dance. I haven't seen where it's etched in stone that we have to lose one.